“We cannot blame the previous rulers for everything, not only because it would be untrue, but also because it would blunt the duty that each of us faces today: namely, the obligation to act independently, freely, reasonably and quickly. I am not going to spend time here extolling Havel’s tremendous written offerings or his lifelong pursuit of “living in truth”. 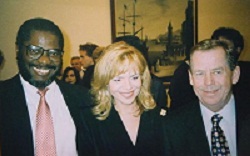 I refer to my friend Hazel Henderson who wrote an outstanding tribute to Havel, which I link to here: Hazel Henderson’s tribute. 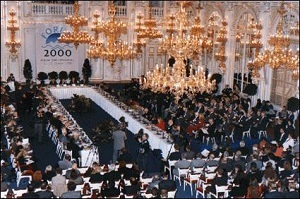 Hazel recently reminded me that it was Havel who brought us together, as participants in “Forum 2000” in Prague in 1998. Instead, I’d like to give you some of my personal recollections of a man who has been so tremendously influential in my life. Those on the Right and those on the Left mis-read (and ignore) Havel. To the Right, Havel was the “dissident” who successfully stood up to the “Communists”. In their view, anyone who opposes Communism is a Rightist. They ignore the fact that Havel’s movement, “Charter 77”, had everyone, including Communists, in it. The Left talks about the nonviolent and grassroots-organizing aspects of the “Velvet Revolution”, but ignores the spiritual aspects that form the foundation of Havel’s work. A careful reading of Havel shows that he was neither Right nor Left – he was ABOVE that spectrum… the true realm of societal transformation. My second encounter was a non-event. In 1989, the world watched as the events of the “Velvet Revolution” unfolded, with one million people in Wenceslas Square, calling for the end of Soviet rule. I remember reading a “Time Magazine” article about it, wondering what was really going on, wondering whether/how Time was slanting the events. Then it dawned on me: “Why am I sitting here, when there’s a nonviolent revolution taking place in the world! 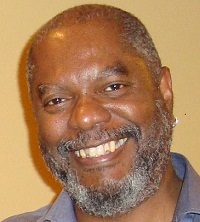 ?” So, in early January, 1990, I hopped on an airplane, to become a witness to a revolution. A true leader must have a clear sense of VALUES. If you have no values, doing the right thing is IMPOSSIBLE. They must be able to make a decision, even if that decision means the loss of life for some. Even those of us who are pledged to nonviolence may be forced to make life and death decisions… our own, those of our supporters, those innocents who may be caught up in the violence of the hateful. Sitting outside Havel’s door, I learned about the responsibility that comes with power. I learned the price that one must pay when you get what you want. One other thing I learned: NOT deciding is making a decision. You must live with the results produced by indecision, also. Havel was extremely ill at that time, so none of us got a lot of “face time” with him. 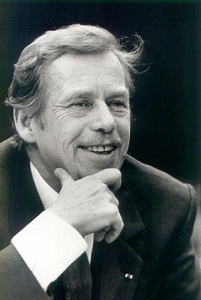 In my time with him, Havel agreed that I could use one of his essays for the Introduction to “Creating a World That Works for All” (he was too ill to produce an original). I was thankful for this… having an Introduction from this master political writer inspired me as I finished writing “Creating”. The essay he and I selected was the perfect balance of the need for societal change and the need for spiritual awareness. I quote this essay in almost every speech I give – and I strive to achieve this balance in my own life. My fourth encounter (and last) came the following year, when he invited me back to Prague Castle – this time as a facilitator for “Student Forum 2000”. 100 students, from every continent, meeting for the first time to discuss the course of humanity on our planet. Doing a workshop inside Prague Castle! This was a true high-water mark for me. And, I was able to hand-deliver a copy of “Creating a World That Works for All” to Havel, with my thanks. There are many people who influence my work, from ascended masters to my 6 year old grandson. Those who have been most influential are the people who not only clearly articulate a vision of the world I want to live in, but also live AUTHENTIC lives: their values are in alignment with their actions in the world. Was Havel the “perfect man”? Not hardly… and that’s from his own self-assessment. In many ways, he did less than I thought he could do as President. But… back to Havel’s waiting room, two decades ago. Sitting comfortably on “my” side of that closed door, it is easy to say what I would have done. It is a lot harder is to actually decide, to not complain, not blame, but decide – and live with the consequences of my decision. This is the mark of a true leader. Havel will be one of the world leaders we will explore in my 16 week program, “The Awakening of All”. Exploring successful nonviolent, visionary, inclusive revolutions is one of the many activities we will use to understand and build our character. Remember this: when Havel became President of Czechoslovakia, THE PEOPLE WHO FORMED HAVEL’S GOVERNMENT HAD LESS EXPERIENCE GOVERNING THAN YOU DO!! It was not KNOWLEDGE but WISDOM AND VALUES that helped them create a new, visionary government. We are the leaders we’ve been waiting for… so let’s stop waiting! Click here for more information on The Awakening Program. This entry was posted in A Moment for Wisdom and tagged Havel, leadership, nonviolence, power, responsibility, revolution, values, velvet. Bookmark the permalink.